February 21st, 2018 – Frisco Independent School District and the teachers at the Career and Technical Education Center wowed our security leaders in Dallas Texas. Dallas and the Alliance have shared a great relationship from the founding of our organization. Many of our members, and the annual leadership Summit call the star city home. The kickoff event to the 2018 Cybersecurity Converge Tour went off without a hitch with the help of some incredible teachers and a room full of job ready students. 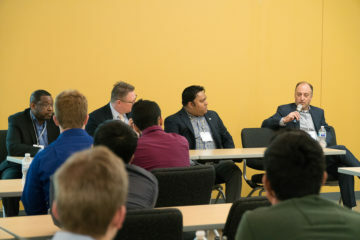 Our security leader members including; Parrish Gunnels of Kibbo Commerce, Anil Varghese of Service King, Lamont Orange of Netskope and Shawn Tuma, attorney at Scheef & Stone LLP, hosted a panel discussion on the key elements of cybersecurity and pathways into the industry. The students were encouraged to participate in the dialog and ask questions as they arose. 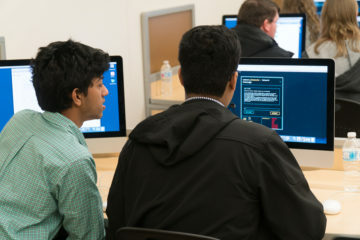 The students are learning computer networking, engineering and programming in their everyday curriculum. The half day workshop from the Alliance provided a nice supplementation, exposing many to cybersecurity for the first time. Students were then broken into teams of two and guided through a gamified cybersecurity learning experience from our partners at Facebook. 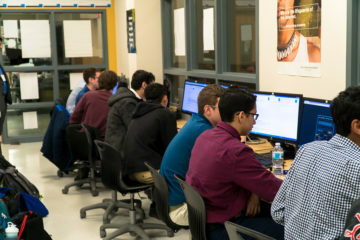 Capture The Flag (CTF) is a commonly used tool in the industry to test technical accumen, critical thinking skills and creativity when solving problems. Students are paired with others to promote communication and teamwork. 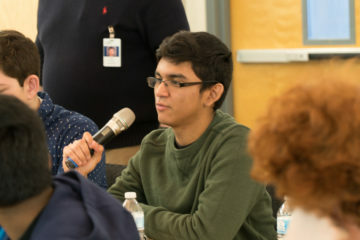 The volunteers coached students through difficult questions and provided guidance toward possible research options rather than the ultimate answer. This type of gamified education platform exposes students to a wide range of security topics, including cryptography, privacy, ethical use of technology, digital citizenship and social engineering. 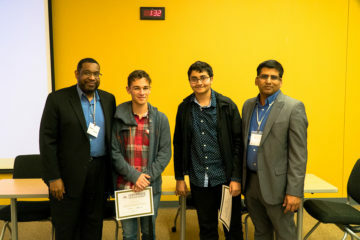 Team Jedi was awarded with outstanding achievement certificates for their high score in the CTF competition and some light networking took place between security leaders and students. The Alliance would like to thank our partners at Microsoft for making this event possible as well as all of our volunteers for their time. The Tour will make it’s next stops in Kansas City and St. Louis in March and April respectively.